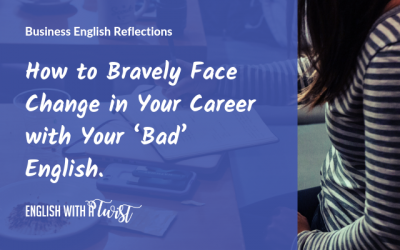 How to Bravely Face Change in Your Career with Your ‘Bad’ English. 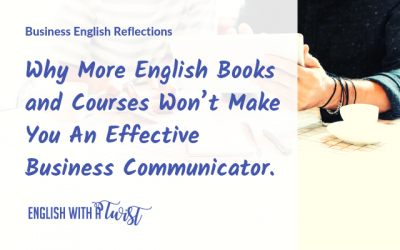 Why More English Books and Courses Won’t Make You An Effective Business Communicator. 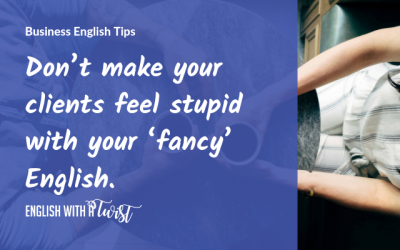 Don’t make your clients feel stupid with your ‘fancy’ English. 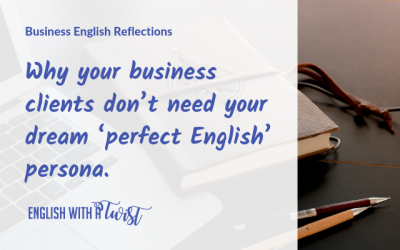 Why your business clients don’t need your dream ‘perfect English’ persona. 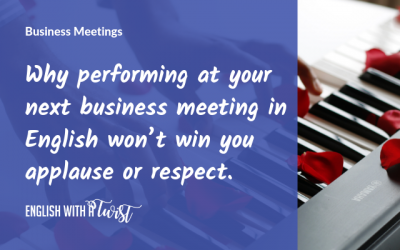 Why performing at your next business meeting in English won’t win you applause or respect (and what will instead). 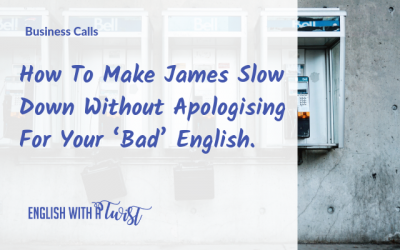 How To Make James Slow Down On That Call Without Apologising For Your ‘Bad’ English. 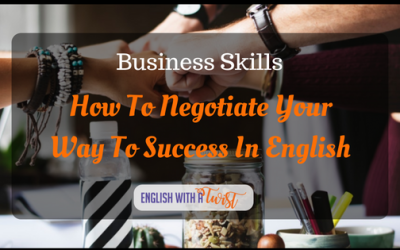 Why You Don’t Need Another English Speaking Course To Get That Promotion. 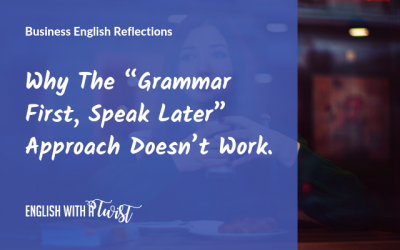 Why The “Grammar First, Speak Later” Approach Doesn’t Work. 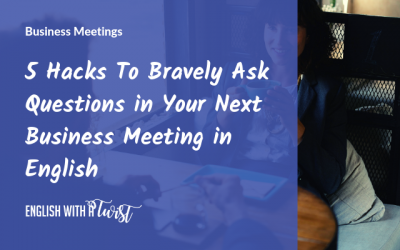 5 Hacks To Bravely Ask Questions in Your Next Business Meeting in English (No Grammar Revision Needed!). 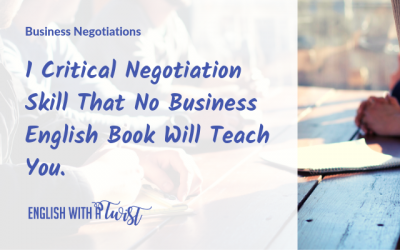 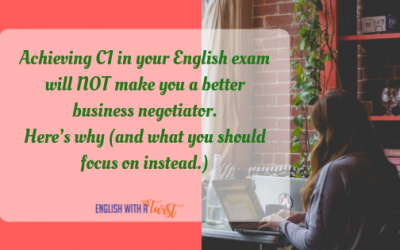 1 Critical Negotiation Skill No Business English Book Will Teach You. 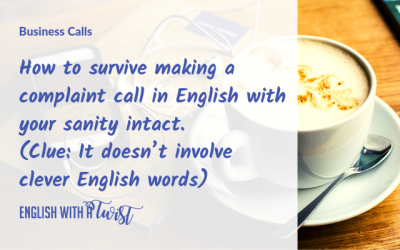 Small Talk Is Much More Than New Vocabulary And Speaking. 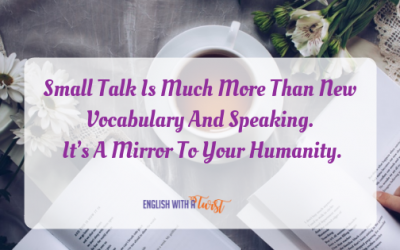 It’s A Mirror To Your Humanity. 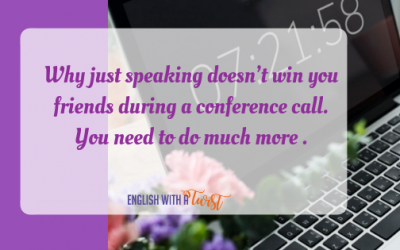 Why just speaking doesn’t win you friends during a conference call. 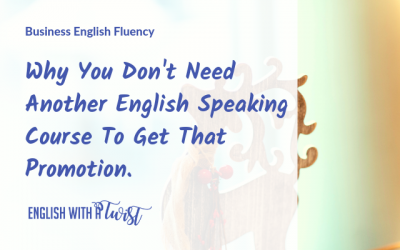 You need to do much more (+ a case study). 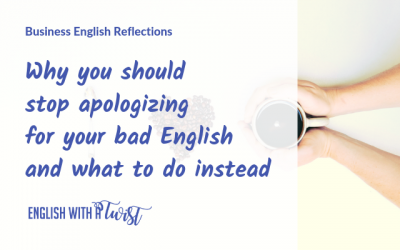 Why you should stop apologising for your poor English (and what to do instead). 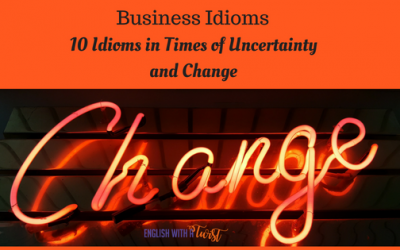 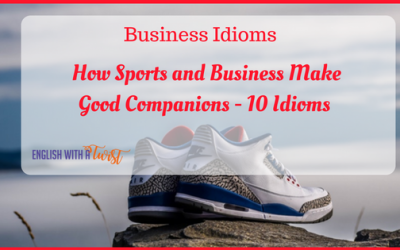 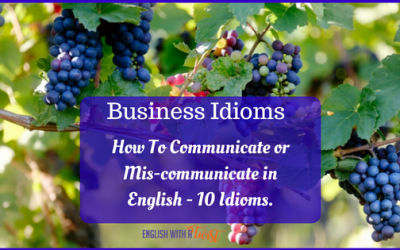 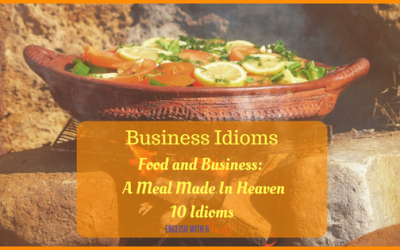 Business Idioms: How To Communicate or Mis-Communicate in English – 10 Idioms. 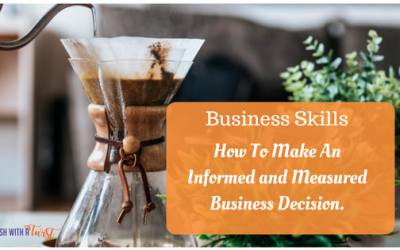 Business Skills: How To Make An Informed and Measured Business Decision in English.